Happy UAD to you and all the DraliTeams! Happy UAD to you too! This typical English town, it wouldn’t be Barking would it…?! I like the pub, hope it’s The Unicorn. Ha, it might be :-). The pub is definitely The Unicorn, where better to celebrate? Every weird meat tastes like chicken! 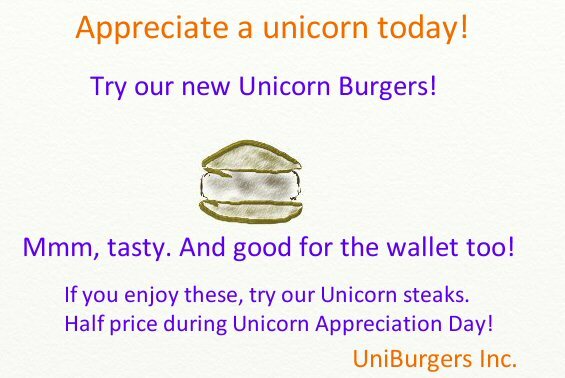 I’ve not tried unicorn burgers though, that would be wrong. I think the horn is extra, it’s quite sought-after. I hear that they are, but you’ll have to wade past scores of “Save the Unicorns” protesters to get to them! 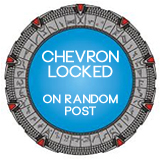 I was going to write about this too, but I felt inadequate to the task. But I’m glad to see that you were inspired. I do like your last poem-let. It has a solid, meaty quality that suits you. I am going to take a picture of my pet unicorn and post is, just so I can feel like a participant in the celebration. Happy UAD!! I’ve just checked out your pet unicorn – very nice! I love the unicorn photograph at the top of this post, as well as the photo of the traditional English celebration of Unicorn Appreciation Day. Have a Happy and Festive Unicorn Appreciation Day!!!! Unicorn Appreciation Day was a blast, I can’t wait for next year! Maybe if I keep practising, Dralicorn will achieve RD standards. haha! Love me some politically incorrectness. Even more now. Having said that I will not be ordering a burger. Can you believe they have croc burgers at the aussie croc zoo? That sounds wrong 😦 You could imagine you’re eating some poor croc who met an unfortunate end and now you’re happily watching his mates swimming around. Happy UAD! which it seems according to the typical English town depiction is a great excuse to drink far too much and vomit in public, or practice urinating in water fountains, or getting into an all out brawl using your precious Unicorn headgear as a weapon of death and destruction… Oh the horror! urine, blood and vomit everywhere!!! Ooh, ooh, the DraliTeams are well up for that! That post was a great team effort by the whole of Drali Industries (?)! Although the poem by the DraliDoodle team suggests that they should not venture outside of their PDs, and leave the poem writing to the departments who are being paid to do it. They tried their best but their poems are, if such a thing is possible, even worse than their drawings! I wouldn’t be too dismissive of their drawings, they are done in a very unique style that will probably only be fully appreciated by art critics after they have died. I don’t think I’ve ever seen an image generated by a stylus and tablet capture moods and emotions with such nuance! I’ll come over to the UK when the Tate holds a retrospective exhibition of the team’s entire works, entitled “Dralidoodles”. I’ll let you know once the team has died and their works are hung in pride of place! PS, I meant that their style may only be appreciated by art critics after the DraliDoodle team have passed away, not after the art critics have passed away, because that would just be silly. At least if they were dead the critics wouldn’t have to explain why they think the DraliDoodles are so spectacular!